Call 020 3746 1366 or fill up the online contact form, and our 24/7 customer assistants will give you a non-binding and free estimate, as well as discount information. We have properly outfitted and skilled roof cleaners who will use powerful jet washing machines to get rid of lichen, mould, algae, greasy stains and moss from roofs. House roof cleaning is important if you want your home to look fine, and is also important simply because certain harmful growths can in fact “eat” and harm your roof if left untreated for long. Our service is 100% insured and at a great price! For help with cleaning up your roof and gutters, remember to book our general window cleaning service today! Commercial property owners and homeowners in the region know that proper and regular gutter cleaning can save them a lot of problems and the need for repairs if water damage occurs because of clogged gutters. Ashlee House Cleaning will help get your gutters clean safely and efficiently, at an excellent price. Our gutter cleaners use professional powerful vacuum cleaner connected to telescopic pipes to access your gutters and downpipes and clean them without a ladder. The pipes have cameras at the end, so that all debris and dirt is visible. We can provide you with before and after pictures of your gutters. This service has a quality guarantee of 30 days. In case your gutters get clogged during that period we will clean them again. When there is certainly nobody, who are able to care of your commercial building windows, either, the experienced and enthusiastic window cleaners in Homerton E9 are here to give you a hand. 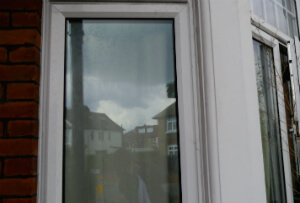 We are at the same time available for business window cleaning services in Homerton E9. All kind of industrial properties are accepted: hotels, offices, restaurants, IT buildings, stores. Remember that our specific safe system for window and gutter cleaning can reach up to fourth floor. Conservatory window cleaning requests are also accepted! We have tailored a procedure for rapid and easy reservations for our window cleaning Homerton E9 service. All you need to do is get in touch with our customer support service at by calling 020 3746 1366 or using the online reservation request form. Select any day of the year for the cleaning. Our window cleaners will perform their job at preset and acceptable prices. We won't ask you for a deposit. You will receive an email and SMS validating your booking in the next Two hours. For reservation more than one particular of our services at once, we will compensate you with a price cut of up to 15%.